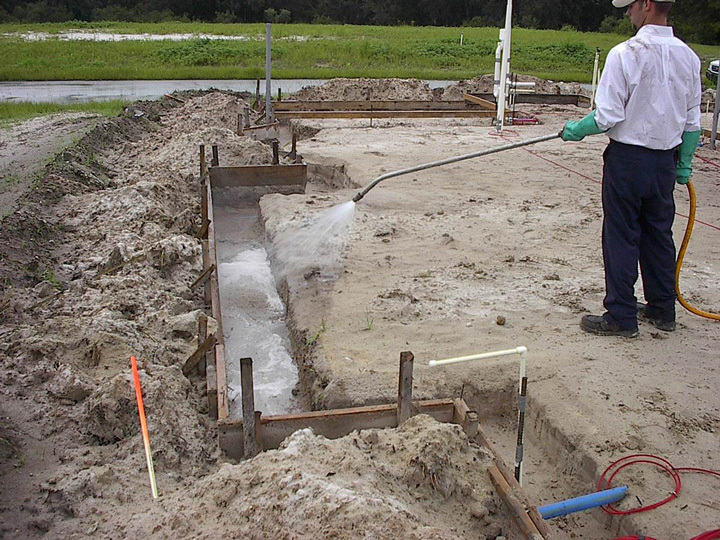 The anti termite treatment has to be carried out by a standard professional agency. The ground surface has to be thoroughly cleaned and dusted off from wooden and any other dust particles. The whole surface façade has to be leveled to the necessary height. Making 30 cms deep holes at the distance of interval of 15 cms will be sufficed to carry out the treatment. A mixture of accurate absorption (as specific in manufacturer’s manual) should be completed by adding water to the chemical. This mixture should be transferred in the holes by pouring jars and by spraying the surface facade by the usage of pressure pumps and sprayers and permitted to get absorbed through the holes completely. The left out 1m exterior for troubled after the treatment.